Jurjen van der Noord performance far above expectations! 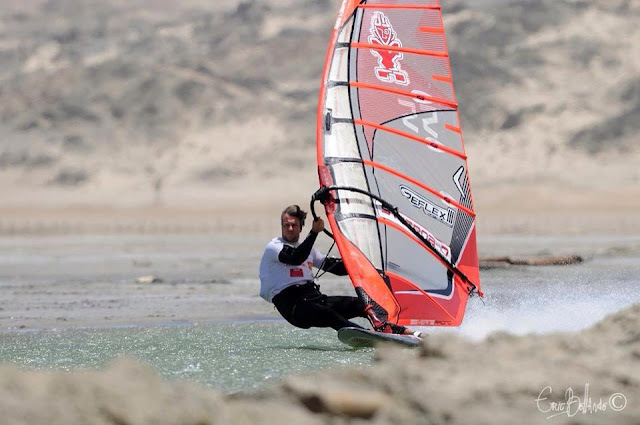 No doubt, Jurjen van der Noord is the biggest thing in dutch (GPS) speedsurfing since I started using a GPS on my windsurfer. Almost no one saw this comming a couple of years ago, I remember the days where I often was about as fast as Jurjen. Later we became teammates with Starboard / Severne. Last year the performance increased like mad and nobody could exactly point out why? Having the right equipment and knowing how to adapt settings to "never known unique conditions". His custom made board he used worked!! No testing or several proto's possible, it worked, thats engineering on high level! Jurjen thank you for showing us "how it is done like a professional"! You are an true inspiration, you even managed to get me excited for records! Hats off for this true hero who pulls it off at the right moment when the world is watching! A nuance: I don't think there was negative buzz about Jurjen's performance. I think everybody has had respect for his brilliant expedition. The discussion was more about the value and comparison of luderitz canal speeds vs normal gps-speedsurfing open water performances.